Umiaks are found throughout the entire range of Arctic habitation. They vary from place to place, some being round-bottomed, others flat. The umiak was the real workhorse of Arctic peoples. 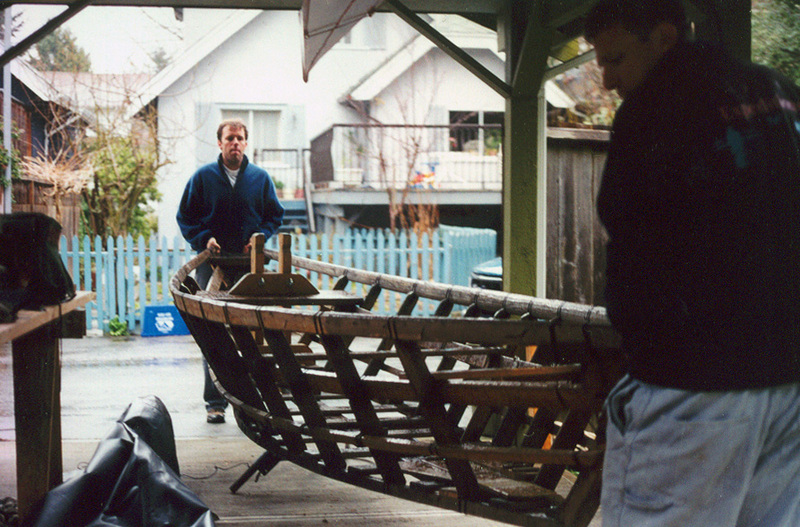 Often referred to as the “women’s boat,” umiaks ranged from 16’ to 50’ in length. Whole communities could migrate in a single boat. Umiaks are still being built in the Bering Strait area for the purpose of whale and walrus hunting. 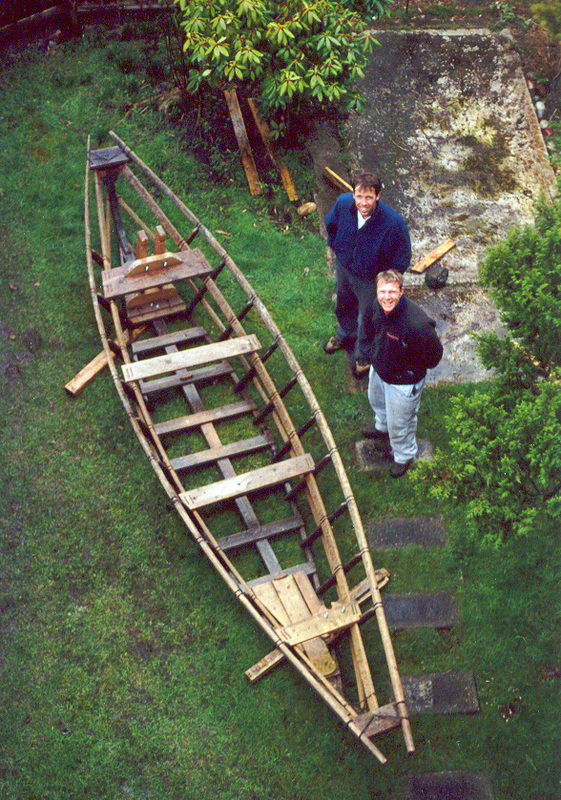 This example was built in the traditional fashion, by eye, and has proportions relative to a Grand Banks dory. 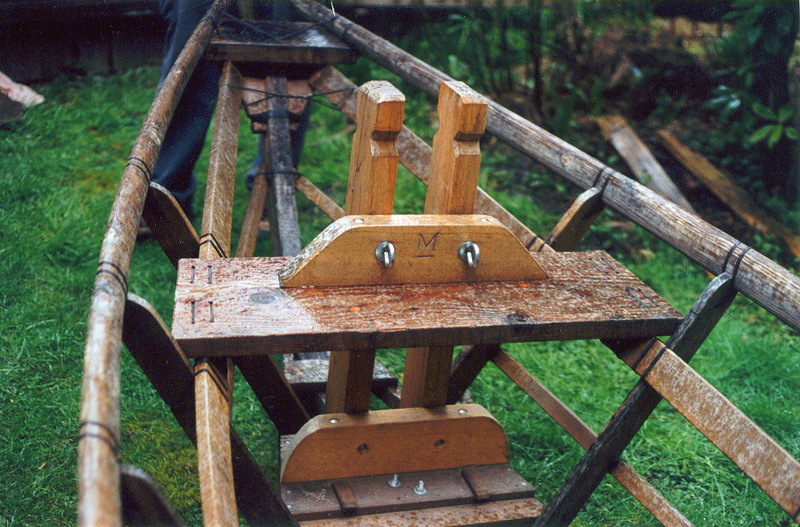 Elements of its construction were influenced by a book called Umiak, an Illustrated Guide, by Skip Snaith. 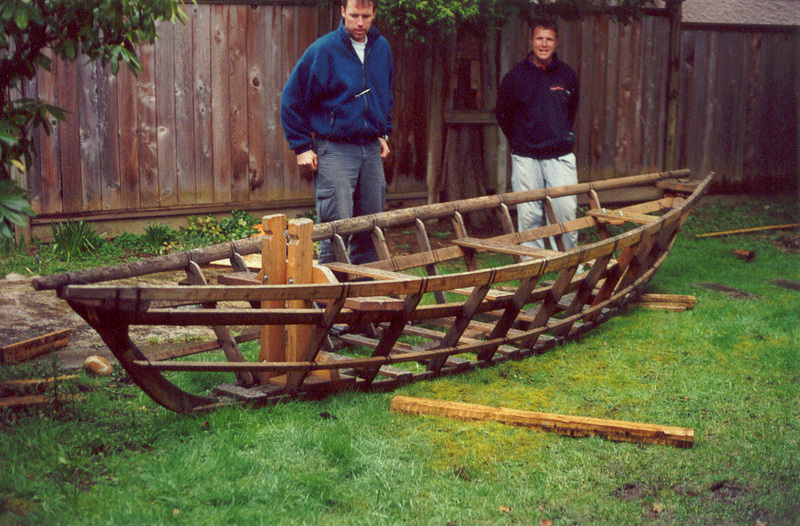 Specs: Length: 17’, Beam: 4’6”, Weight: 200 lbs approx.